The new Allrounder Winter shoe from Salomon. Half-high, waterproof winter boots. 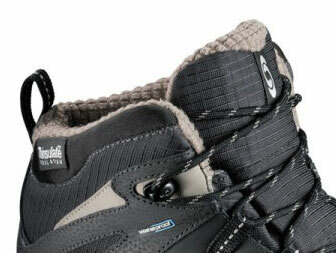 He also has a toe cap, synthetic, synthetic suede leather, stitched tongue, shaped and cut EVA, non marking Winter Contagrip sole insulation Temperature -10 ° C / +14 ° F.
The Salomon Wasatch WP is an all winter shoe in Hikingstil. It has a fitted with PU coated leather and ripstop shaft, as well as a waterproof membrane and insulation. For your secure, the shoe has a toe cap, synthetic bags to protect you from rocks and debris.